I feel in love with Terrain just over a year ago. I first visited their location in Glen Mills, PA and had a lovely evening making a terrarium and noshing on a delicious cheese plate. As soon as their Westport, CT location opened, I dragged my Mom. She swooned too. From garden delights to candles and cookbooks, the whole collection at Terrain is expertly curated. If you are ever in the area (either one), go! It will not disappoint. As luck would have it, I found myself standing over the Valentine’s table two weekends ago. Temptation personified for a girl who loves hearts! 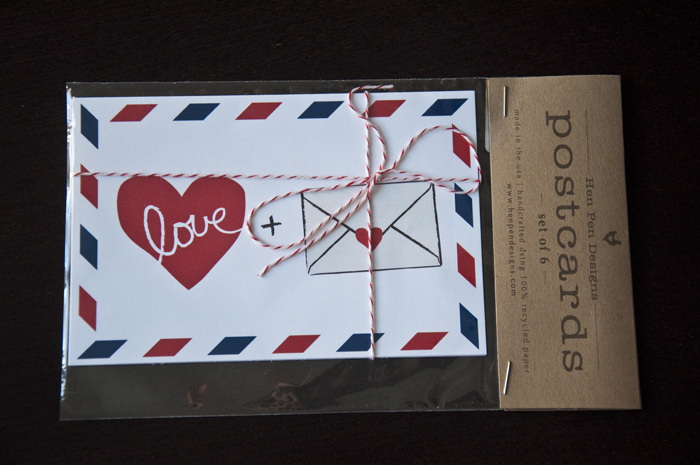 I walked away with a love letter kit and a pack of beautiful postcards (I’m going to try and use them with my valentine typewriter). I am eager to start penning some Valentine cheer. What’s on your wish list for Valentine’s Day?